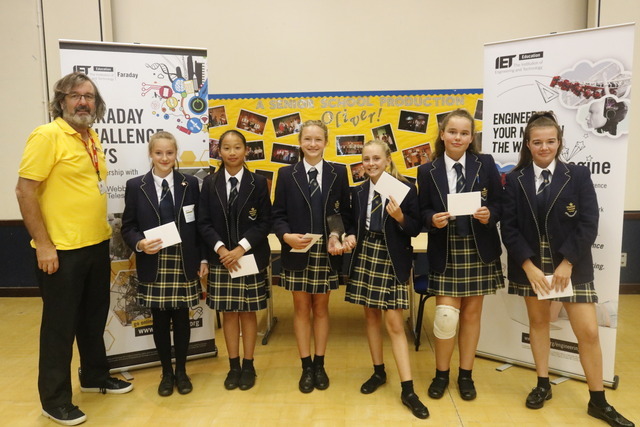 On Monday 11 September, St John’s College in Southsea hosted the first IET Faraday Challenge Day of 2018-19. 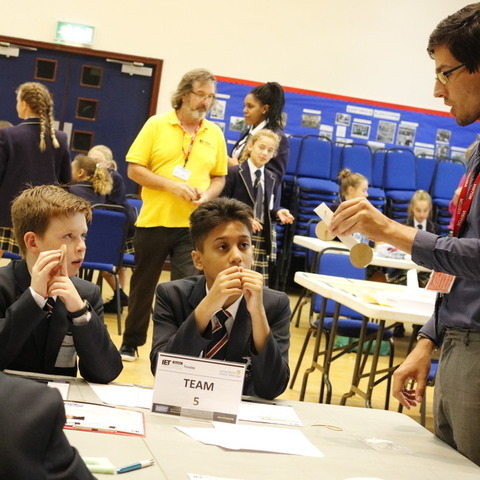 Pupils from the Priory School and Miltoncross Academy joined Year 8 students from St John’s College as they became real-life engineers for a day as they researched, designed and built solutions to real engineering problems as part of the Institution of Engineering and Technology’s (IET) Faraday Challenge Day. 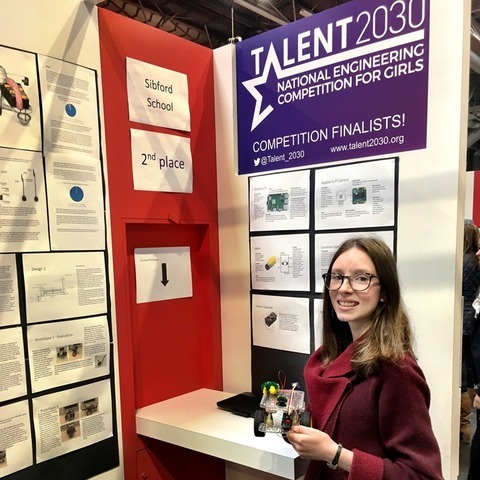 A total of 176 events are taking place across the UK to host 2018-19 IET Faraday Challenge Days. 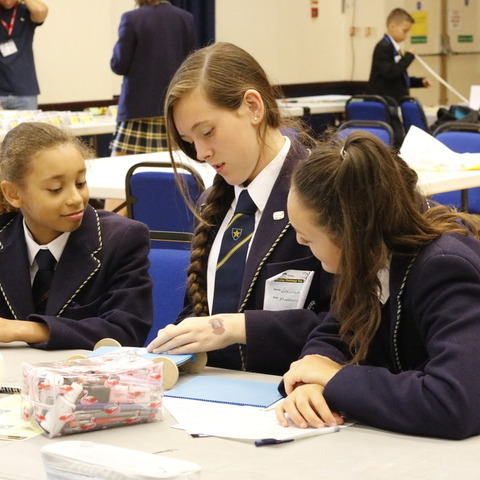 Up to six teams of local school students will compete at each event to find the best solution to an engineering-related challenge. 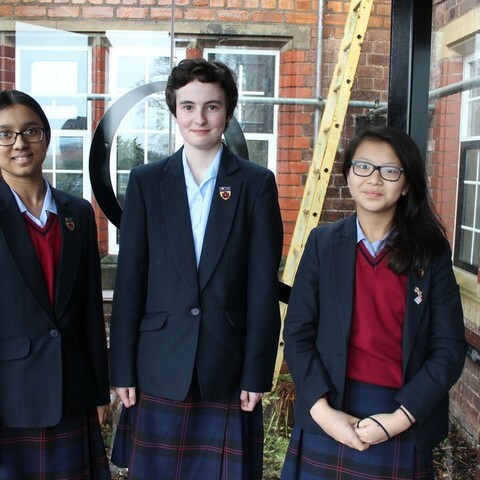 This year’s challenge is in association with the James Webb Space Telescope but the brief for these young engineers was shrouded in secrecy to avoid unfair preparation and research. 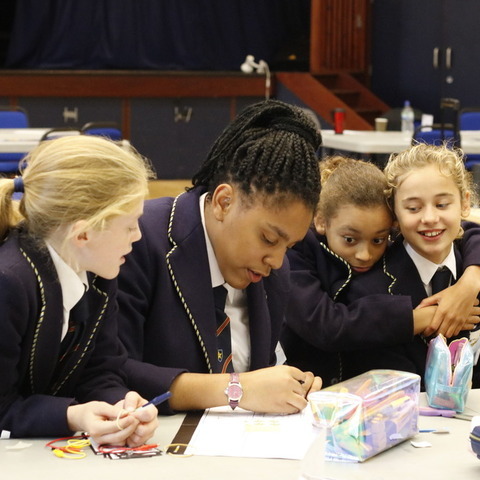 The teams had to race against the clock to solve a real-life engineering problem, putting their engineering and technology knowledge and skills to the test. 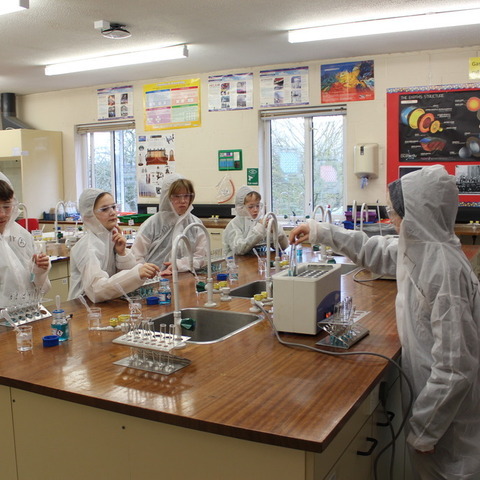 The events aim to encourage more young people to study and consider exciting and rewarding careers in science, technology, engineering and maths (STEM) by using creativity, innovation and problem-solving skills. Team 1 from St John’s College won the first challenge and were awarded prizes and a trophy for their school. 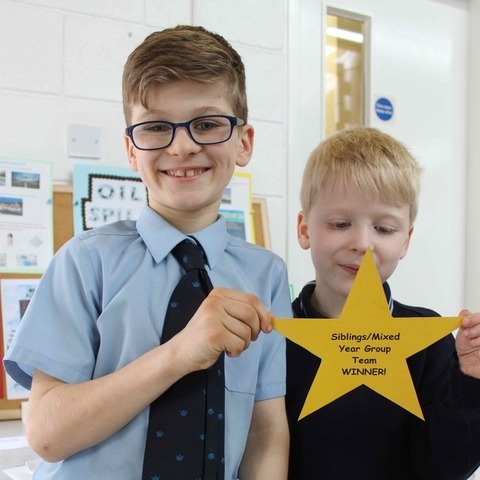 They will soon find out whether they are in the top five scoring schools to win an all-expenses paid trip to the national final at The Royal Observatory, Edinburgh in 2019 to compete for a cash prize of up to £1,000 for their school. St John’s College is an independent day and boarding school for girls and boys aged 2 – 18, located in the heart of Southsea. 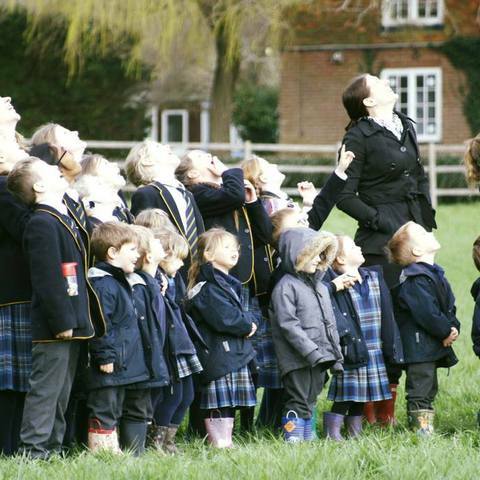 At St John’s College we offer a unique atmosphere and a caring community where every student is encouraged to set high standards in all they do in order to challenge themselves to realise and fulfil their potential. We pride ourselves on the academic achievements of our students and are proud of the value that we add to these results.